This popular Southern Italian dish will keep you warm through the wintry months. The following recipe, prepared by Chef Francesca Montillo, appears on The Lazy Italian. It’s another cold, wintry, snowy day in Boston. The kind that has me thinking of only one thing: summer in Italy. 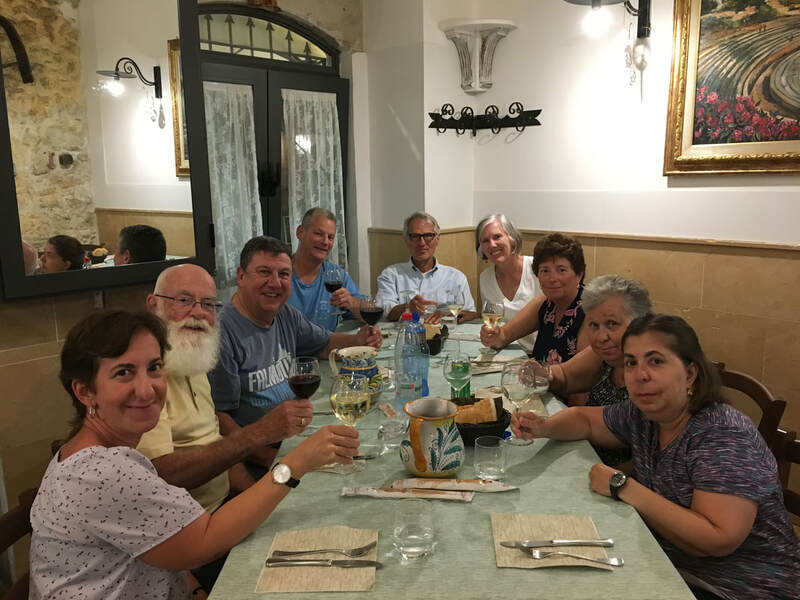 I’m counting down the days to our group culinary trips to Calabria and Puglia, but know that they are still months and months away. So I take comfort in something else, what all Italians take comfort in: food. It’s the kind of day that calls for soup but the reality is I feel like I’ve had soup every day since the New Year! So instead, I turn to something else, something quick and delicious that takes me back to my days growing up in Calabria. When it comes to Italian food, I’m not much of a picky eater. My mother tells me that I never was, even as a very young child, all that picky. My sister is a different story. She’s four years older than me and I have no doubt that I was eating more of a variety of foods by the time I was two than when she was six! For a good part of her childhood, there was only one thing she would eat, and one thing only: eggs in the sauce. “You think I’m going to feed you eggs in the sauce every day now?” That’s what I recall my mother always asking her! While I was eating pasta with fava beans, stuffed artichokes, pasta fagiola and all the great variety of foods she made available for us, she was eating eggs in the sauce! I mean, I loved them too, but I loved everything else just as much! 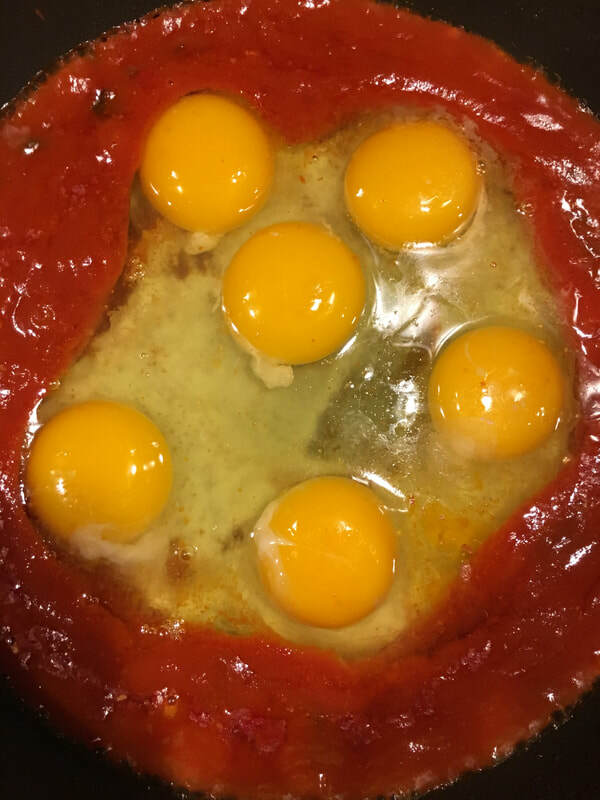 Come to find out years later that what we affectionately called “eggs in the sauce” is actually called “eggs in purgatory” in the culinary world, and are a typical Southern Italian dish. They are similar to the Mexican version of huevos rancheros or the North African dish called Shakshouka. It’s uncertain why they are actually called “eggs in purgatory” but being that most of Italy is Catholic, it’s likely related to religion. The egg whites theoretically represent the soul and I’ll let you determine what the fiery red sauce underneath is supposed to represent. (See the name of the dish for a hint!) We didn’t know any of these things growing up, all we knew is that we loved it and that it was the only thing my sister would eat! And so tonight, that’s what I am craving. You only need a few very basic ingredients to make this dish. 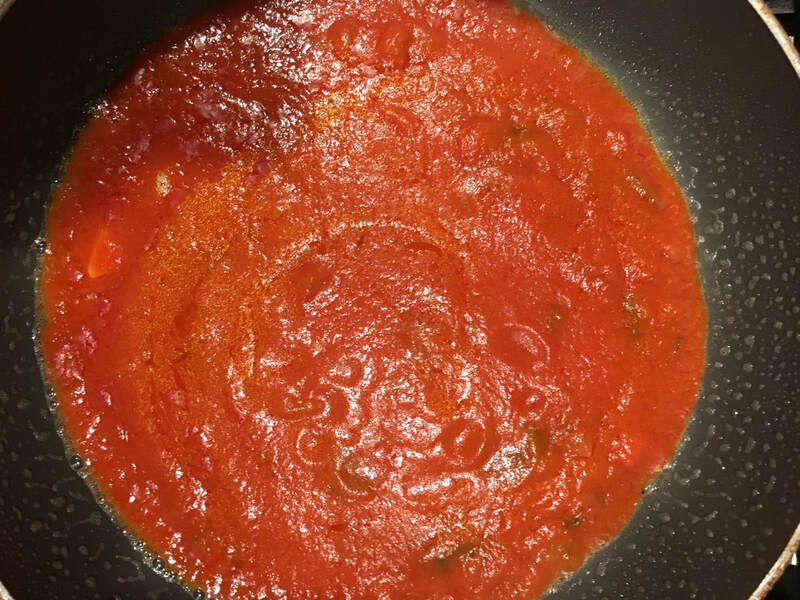 A basic homemade tomato sauce — check out our the recipe by clicking here — eggs, a dusting of grated parmigiano cheese (not required but why not?) and good Italian bread. Lots and lots of Italian bread to mop up all that sauce! Since it’s the sauce that really makes this dish delicious, be sure to use a homemade version and nothing jarred! Yes, this is all you really need for a basic tomato sauce. Always add your eggs to a bowl first and not directly into the pot. Just in case a shell sneaks in there. Add some cooked sauce to a frying pan. The eggs are cooking away in the sauce. 1. In a medium frying pan, heat up about one to one and a half cups of homemade tomato sauce. 3. Using a wooden spoon or spatula, gently move the eggs (especially the whites) around in the pan so they cook fully. 4. Carefully plate the eggs (in order to avoid breaking the yolks) and top with a dusting of parmigiano cheese.